We've seen all of the signs, but now we have some concrete evidence—Android Nougat will make its debut very soon. 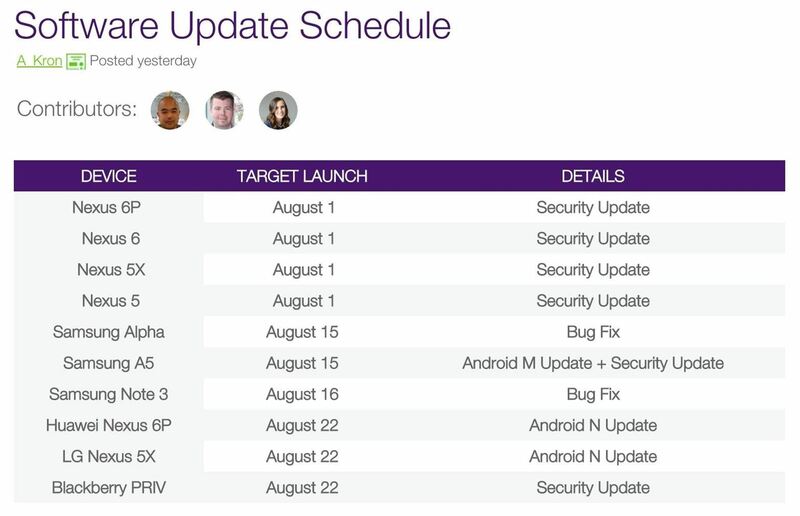 Canadian telecom company Telus recently posted an update schedule for its Android devices, and one date in particular stands out. According to the schedule, the Nexus 6P and Nexus 5X will be getting an update to Android 7.0 on Monday, August 22. This is definitely in line with our previous thinking, as all of the signs have been pointing to an early Android release this year. In years past, the newest version of Android has typically been released in October or November, but this year, Google bumped up its developer preview schedule by two months. There's no word yet on this year's Nexus devices, however. Google usually debuts a new Nexus or two when they put out the newest Android version, but that doesn't appear to be the case this year. There have already been a few leaks that showcase the new hardware, so we can only hope the next Nexus devices will debut shortly after Android Nougat.